Congratulations! 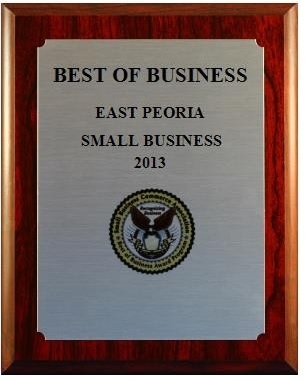 I am pleased to let you know that you have been awarded the 2013 Best of Business Award for East Peoria in the Small Business category. The Small Business Community Association is dedicated to empowering and recognizing small business owners who make a difference in their respective communities.